So while I’m picnicking an hour to the north and filing it under “Travel,” others are grilling slabs of raw meat over open coals in foreign lands. That’s right, you guessed it–another guest blog from Ms. Whitney! Please enjoy, and don’t forget to tip your server. 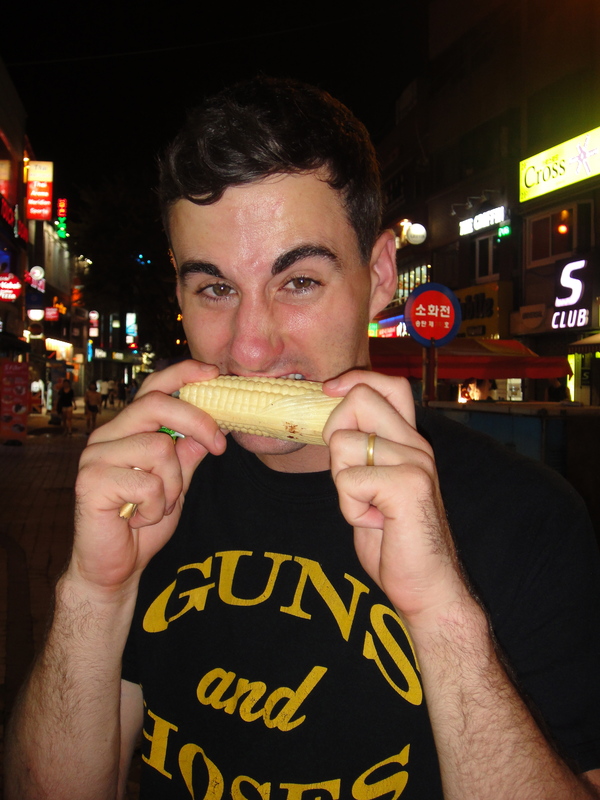 Before this trip, I had no experiences with Korean food. My friend once worked in a pan-asian fusion restaurant that was run by Koreans and they thus served kimchi fried rice (but I never had any), so that’s all I knew of before coming here. And once people knew I was coming here, all they would mention to me was kimchi (pickled cabbage with red pepper paste), and it’s true, kimchi is a very prevalent and popular dish here. Traditionally, it made a good winter food, as its fermentation process and resulting pickled state allowed it to “keep” for a long period of time after the harvest season. 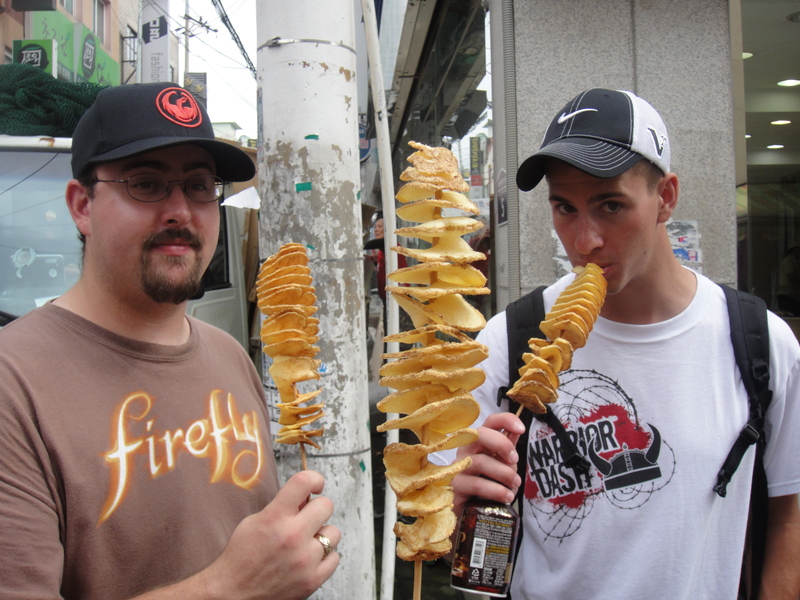 But there is so much more to Korean food than kimchi! My novice experience with the culinary culture has exposed me to yaki mandoo (potstickers, essentially), bibim bab (a bowl of rice with veggies and a fried egg, meat optional), cold raddish soup; these and other dishes are served in a way with which we are familiar: you order and receive. 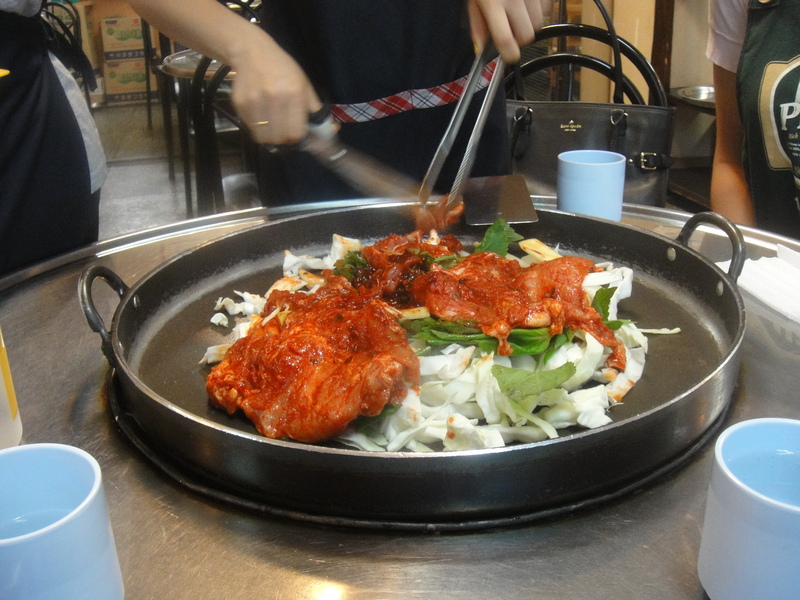 In a different category, there is bulgogi, samgyeopsal, galbi and more; these are dishes that you order and COOK YOURSELF. 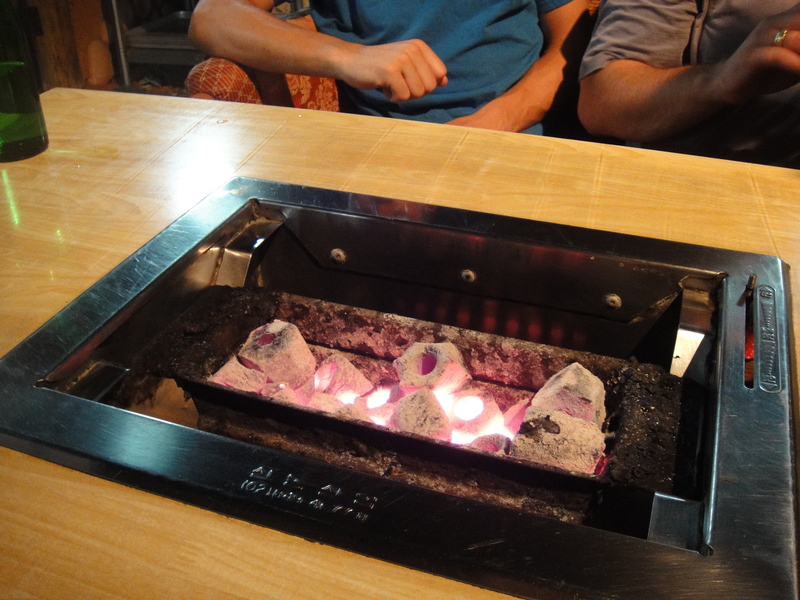 Most of the Korean restaurants we’ve been to are set up with their own miniature grills in the center of each table for 4. They present you with an array of side dishes (bean sprouts, fish cakes, silk worms, raw cabbage salad, raddish soup, and yes, kimchi), a basket of lettuce leaves, and a plate of raw meat. 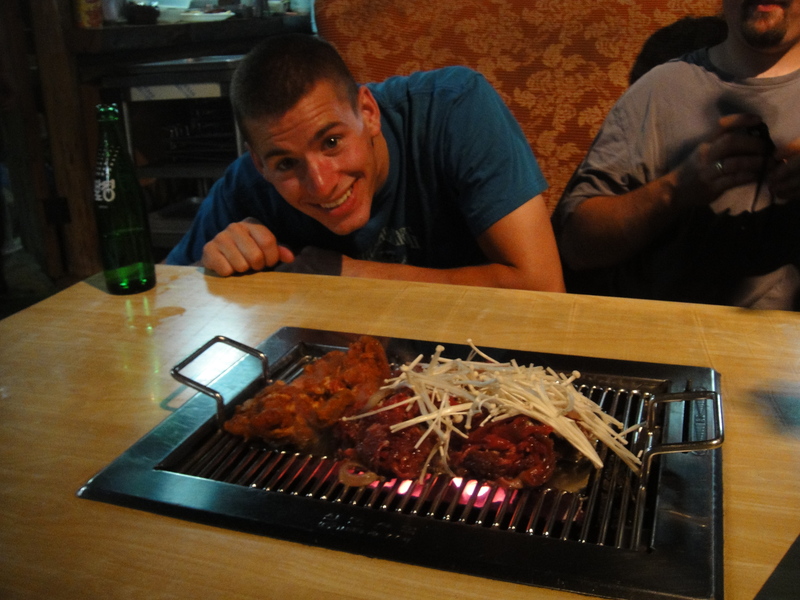 They place a bucket of white-hot coals inside your grill and you begin cooking the meat right there. It’s kind of like being at a smaller Benihana table with yourself as the chef! 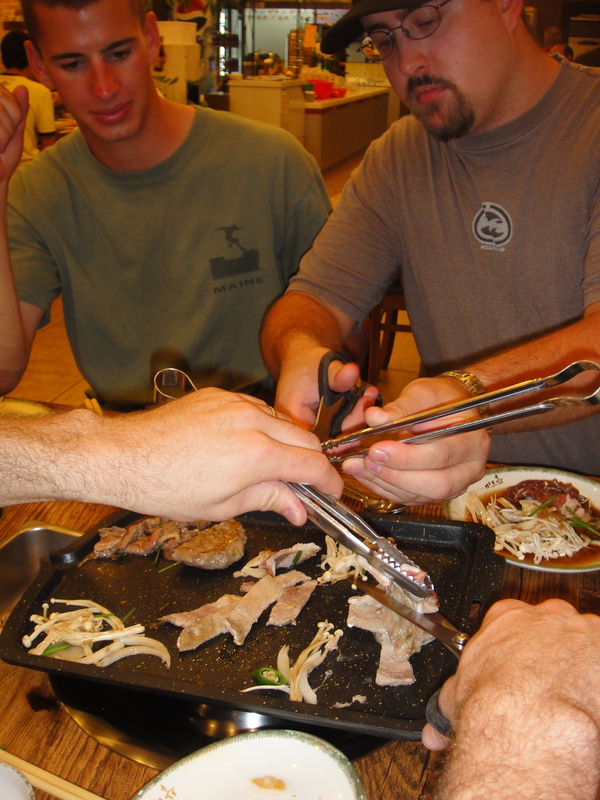 If the meat is still in slab form and not yet cut up into pieces, you wait for it to cook a little while then start cutting it up with scissors while holding it with a pair of tongs (sometimes the restaurant staff does this for you). Once the meat is cooked, you place a couple of pieces in a lettuce leaf with whatever combination of rice and side dishes you’d like, and scarf it. We assume that we haven’t encountered restaurants like this in the States because a) none of us have frequently been in the company of Koreans who would know the locations of such restaurants, and b) if such places exist, they would be quickly shut down by some jerk who didn’t allow his pork or beef to cook thoroughly before eating it, got food poisoning, and filed a crippling lawsuit against the restaurant to gain compensation for his self-inflicted illness. But now that I know what to look for, I will keep my eyes out (especially in San Francisco’s Inner Richmond neighborhood). This ice cream is essentially a milkshake in a bag; sold as a solid frozen block of ice cream, you mush it up and then drink it through the top. 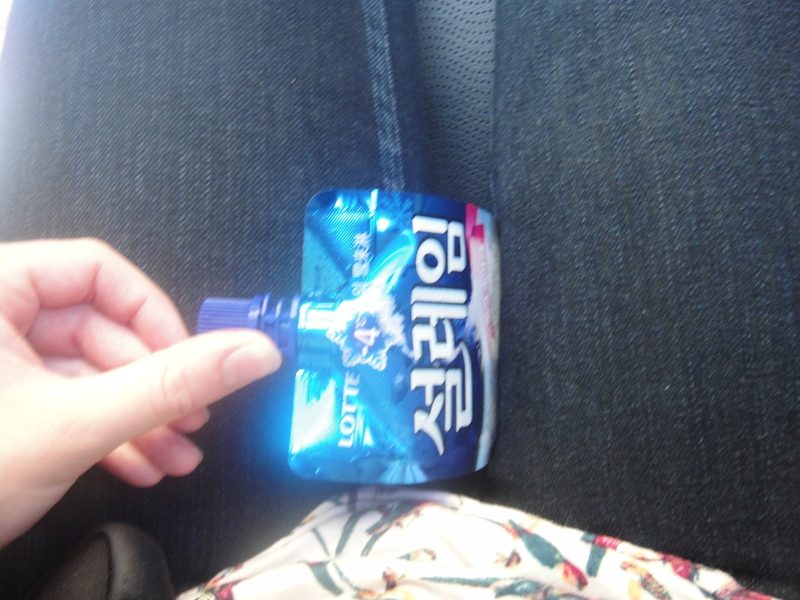 Also good for icing bee stings, as seen here (Korean bumblebees can sting you through your jeans, I've learned). 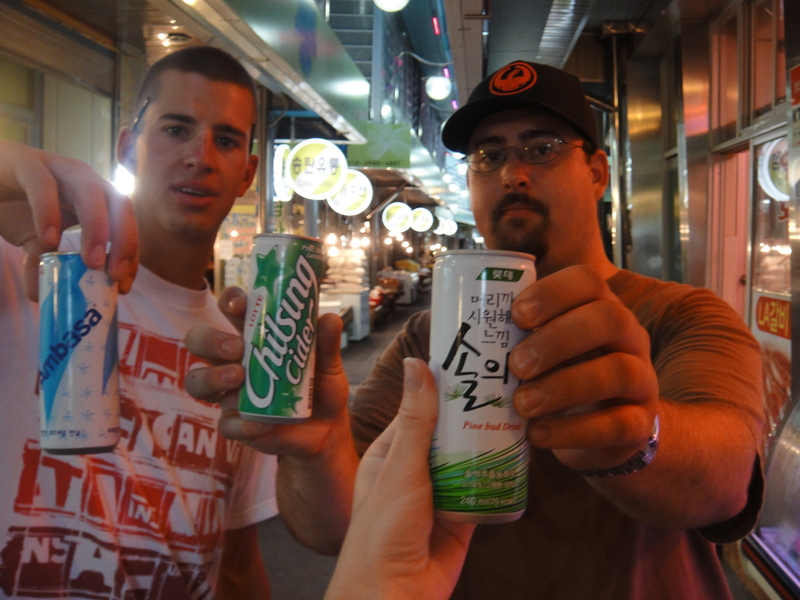 Korean sodas, from left: Coke's version of "milkis" (milky-colored Sprite-like soda), Chilsung cider (also similar to Sprite), and my pine-flavored drink. They also have here, as I was pleasantly surprised to find, Baskin Robbins. 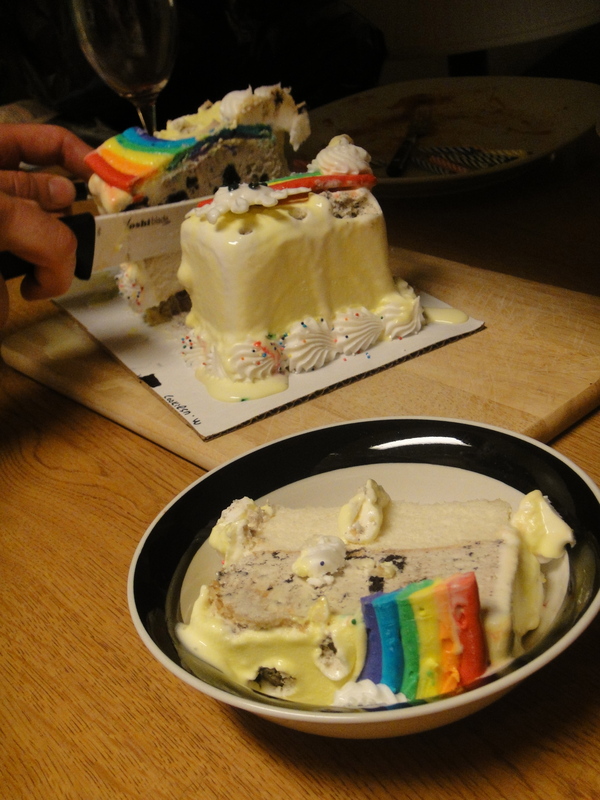 On behalf of a traveling American who has grown somewhat weary of gustatory surprises that necessitate trying (read: silk worms), thank you, ice cream gods, for delivering to us the wonderful American ice cream cake! We celebrated Daniel’s 22nd birthday with a good old-fashioned American tradition. I feel so pampered!